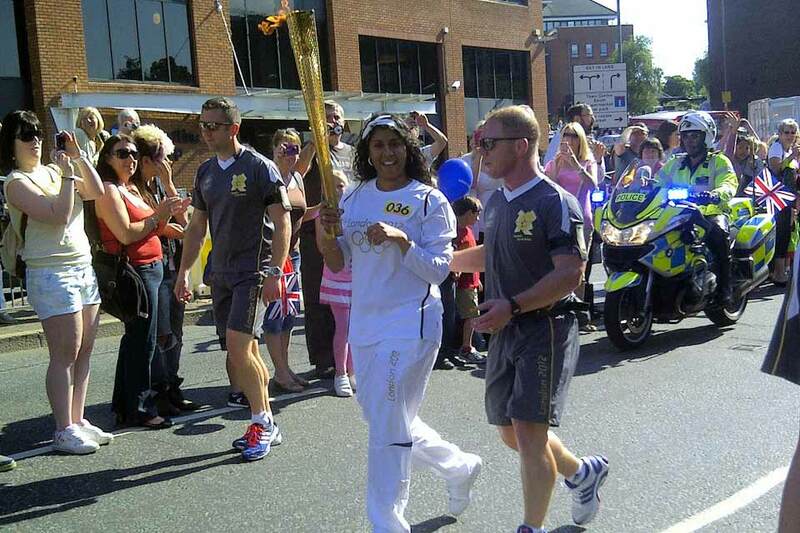 Olympic Legacy and Fire Minister Bob Neill was out and about with the Torch over the weekend. He first welcomed it at Erith Yacht Club as it sailed across the Thames on a Fire Boat, and then in his constituency in Bromley as part of St Mark’s community breakfast celebration of the Torch and the local Torch bearers. 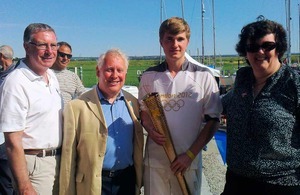 Bob Neil greeted the torch at Erith with Teresa O’Neill, Leader of the Council and Will Tuckley, Chief Executive, Bexley Council, as well as hundreds of young sailors and members of the Yacht Club. Erith Yacht club works to provide affordable and accessible sailing opportunities for local people, particularly young people and people with disabilities. The Department for Communities and Local Government has helped fund and support the Yacht Club, which was awarded £2.35 million from the Homes and Community Agency’s Sustainable Communities Fund, designed to create a lasting sporting legacy from the Olympic Games. They now have a brand new, multi functional clubhouse designed by local people for local people, and new accessible boats. This morning Bob Neill was on the Torch route in Bromley where he breakfasted at St Mark’s Bromley with members of the church and the wider community. He shared food with Doug Patterson, Chief Executive of Bromley Council, community leaders and Torch bearers.